Since the last "on the water" write up the Icicle series organised by Highcliffe SC and our icebreaker series have both finished. There was no final race on 10th March for the Icicle Series so the results stayed the same with Alex Atkins winning and Ray New 2nd.......CSC had 7 sailors in the top 10 with highest placed Junior being Flynn Atkins in 9th and the first lady was Jenny Barnes in 15th place. Our Icebreaker series saw a total of 41 different boats out with Highcliffe sailors also joining us, what a great turn out! The Finns had a clean sweep of the top 5 positions with Simon Percival taking the crown. Sue Haynes was the highest placed lady in 6th and Jack Acton was highest Junior in 7th place. The spring Saturday and Sunday series started last weekend with 7 boats competing on Saturday and 13 on Sunday. The series continues later this month after a break for the separate Easter series. All the races are listed in the 2019 Handbook which is now available for you to collect from the clubhouse, and they are also displayed on the CSC website. Dave Howlett was at the club last Saturday to offer some training to 8 Finns. Dave has coached Ben Ainslie to Olympic gold and is currently coaching Giles Scott for the Tokyo Olympics so it was quite something to have him with them for a day. Junior Captain Drew Barnes has represented the club at the Laser Europa Cup in Switzerland and finished in a blinding 8th place overall in the Radial fleet (also being first British Radial). A truly staggering achievement and testament of his dedication to his sailing. In closer home waters Francesca New sailed at the Volvo Gill Optimist Spring Championships hosted in Lymington. Franch finished a superb 114th in the Main Fleet of 175 entrants, with some blustery Solent conditions and chop spicing it up, therefore not proving the easiest event in the super-hydrodynamic Optimist! Elsewhere it was the final Saturday for the 7 young CSC boys and girls at the Southern IOCA training, hosted by Spinnaker Club; with morning coaching in very light and flakey winds being followed by some great fleet racing, and then the final hurrah of the "Oppy tea". Craning in had to be postponed on Friday due to the windy weather but the cruisers were all successfully craned in on Monday. Ladies Sailing starts tomorrow Thursday 11th with 'Round the buoys' at 6pm. 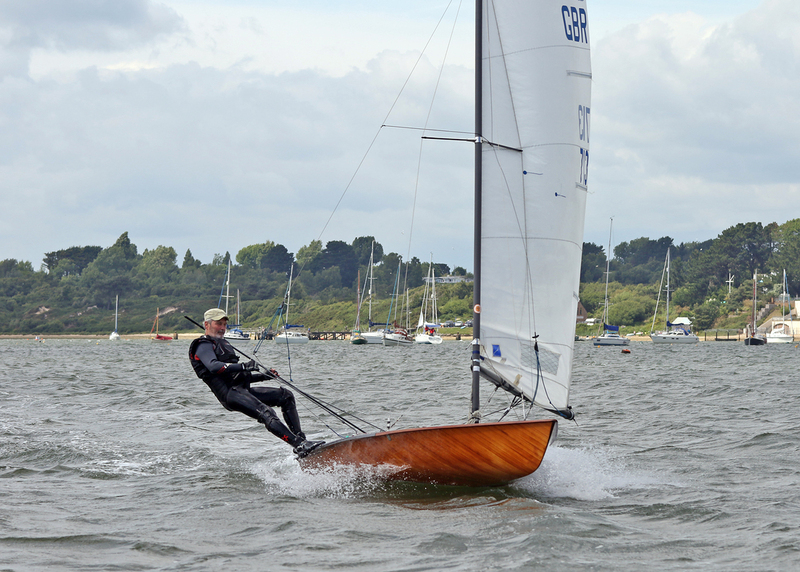 Finally, a thank you to Stuart Percival for his previous comprehensive write ups - whilst we have no sailing secretary please email me with any of your 'on the water' news so we can share our members achievements in this newsletter.